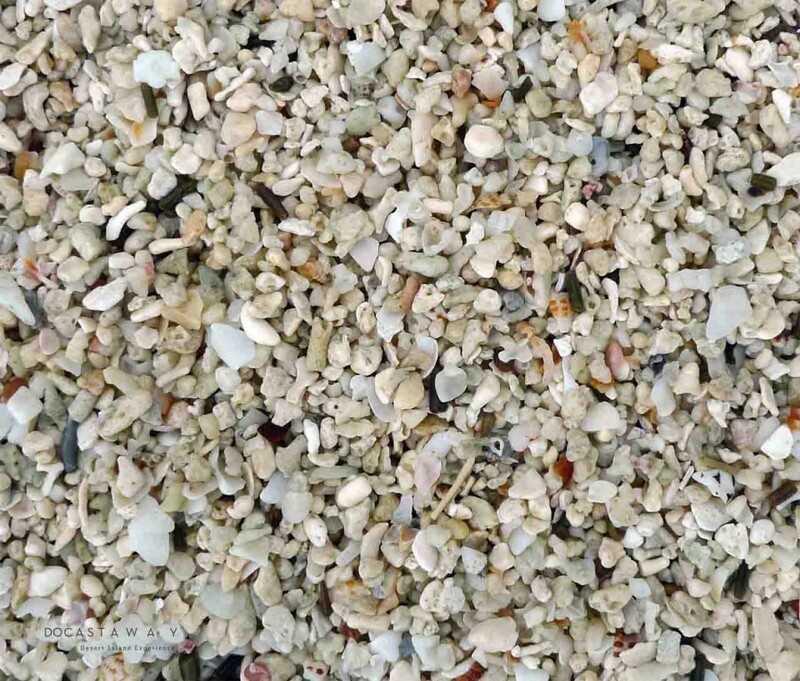 Did you know white beach sand is fish poop? Yes, and I’m not joking!! 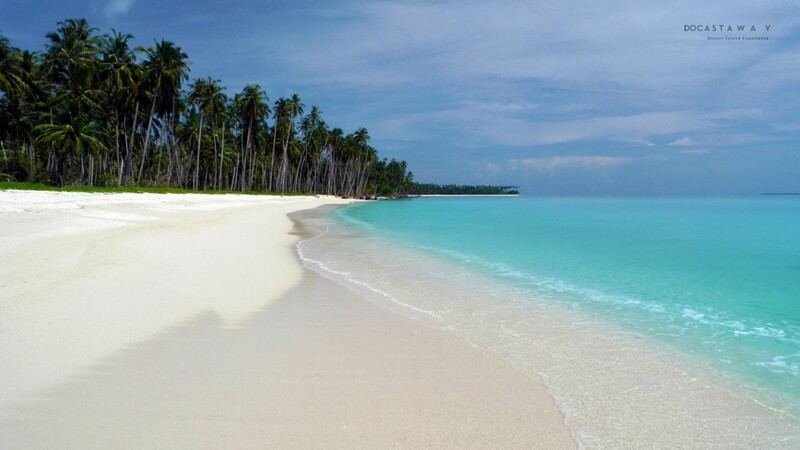 But if at the moment you find yourself on one of these beaches, and barefoot, you don’t have to rush for your sandals! Now that you know that the sand you are walking on is made up of minute excrements of this fish, here’s the explanation why you shouldn’t feel sick or be put off. So, why doesn’t it smell? Well, the truth is that the excrement is really small pieces of coral which the parrot fish spend their time nibbling during the day. It doesn’t feed off the coral, it eats seaweed and polyps from the surface but, at the same time and because of its beaked mouth, it gets a ‘plus’ of hard coral which it breaks up with the teeth in its throat. The parrot fish can’t metabolise this coral so it ‘throws it overboard’ in the form of grains. The existence of this species of fish is essential to the survival of the coral as it acts as a ‘natural cleaner’ of parasites, etc. that grow on it, so without the help of the parrot fish the coral would die. If you find yourself near one of these fish you will find them munching and making crunching sounds with every bite. Another reason is that they need to do this constantly in order to keep their beaks clean and that they (the beaks) don’t grow too much. We’re talking about an insatiable fish that spends the whole day eating and ‘discharging’ without a break and that’s why just one parrot fish can produce 100 kg of white sand every year!! Thinking about this then, to those of us who adore paradisiacal beaches, it’s obviously important that there is an abundance of the parrot fish. Of course, this doesn’t mean that all the white sand to be found on tropical beaches comes from the back end of this fish: scientists confirm that these fish are responsible for about 70 per cent of all the sand on the tropical beaches. I have magnified the photo of the sand about 30 times and you can see it on the right: together with other sediments dragged along by the rivers into the sea, among the grains of sand you can see tiny fragments of shells that get crushed by aggressive waves from the sea, especially during storms. All of this ‘paints’ our beaches a little so that they aren’t as white as talcum powder…..
With 100 kg of white sand a year it’s a pity that the currents aren’t strong enough to carry some of these grains of sand to the coasts of the colder countries in the world, don’t you think that this would brighten up their beaches! Although sometimes the sand can be even whiter than snow like that of the Hyams beach in Australia, that holds the Record Guinness for having the whitest sand in the world. We have visited Hyams to analyze its unusual sand and make a video which you can find on this other article. However, thank god we have parrot fishes in our desert islands! Do you think any of your friends would enjoy reading this article of the poop making sand? If yes, click on the buttons just here, below, to share it with them. Thanks for your support! So I will not go to the beach anymore! What an amazing fact supported with other colorful taken for granted scientific aspects in where nature’s and humankind’s ideal of beauty correlates. Excellent writing! So dark beaches are biologically dead? no coral reefs! Ryan.. you did say something correct.. "no coral reefs". On the volcanic islands of the Caribbean, namely Montserrat and Dominica, the beaches have fine grained, black, volcanic sand, which provides the abrasive ingredient for pumice hand cleaner and sandblasting. 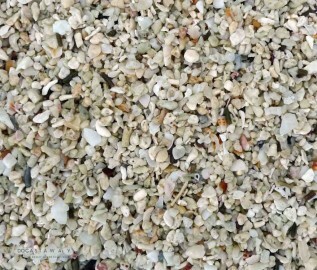 As Alvaro Docastaway mentioned, sand is created by different means which accounts to the great variation in size, colour, density and texture. The island of Barbuda has one of only two PINK sand beaches in the world. That pink sand is the crushed shells of the conch. Thanks for your input Franck! This is why I don't go to the beach…It's a litter box. Was down the beach, took ma phone n tapped in ‘why is the sand white at the beach?’ in the G search, n there came the xplanation. Interesting info Alvaro. That's why the Parrot fish should be protected.. It keeps the coral alive and clean and produces sand at the same time..
Can any of this sand get into our pores and continue to grow as reef? our pores are warm and wet with saline solution. I go to Hapuna Beach exclusively, and have always wondered about this. Thanks for your remark. All you said is true, but parrot fish is a big responsable of sand creation. It is easy to understand by comparing how much sand one parrot fish can defecate in a day, and how much sand it is created by erosion also in a day. I have seen black sand beaches on the island of Moorea in French Polynesia. Moorea is surrounded by a coral reef. So both black and white sand beaches do occur on the same islands. 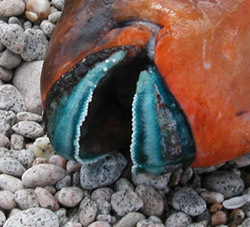 That is due to concentrations of volcanic glass in some places and parrot fish excrement in others. Daddy! Daddy! Where do the dirty needles and used beer cans come from? Absolutely fascinating. I would never been able to have guessed that. I love having my knowledge of poop expanded. This is so true. I went to Jamaica and the tour guide told us. I didn’t fully believe so I googled and came across this article. Interesting! Fascinating article. Now that I’ve read this, I recall freediving with parrot fish and many other fish in Dubai; there was coral everywhere! Such a beautiful, colorful fish. Next time I’m near one I’ll be sure to try and get up closer so I can hear the crunching. I can’t wait to tell my friends next time we’re walking in the white Coronado sand! Thanks Charlie! Enjoy the Crunching ? Fascinating article. Now that I’ve read this, I recall freediving with parrot fish and many other fish in Dubai. There was coral everywhere! Such a beautiful, colorful fish. Next time I’m near one I’ll be sure to try and get up closer so I can hear the crunching. I can’t wait to tell my friends next time we’re walking in the white Coronado sand! Previous post: The greatest danger on a desert island? A coconut falling on your head!